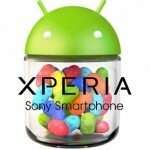 Sony is rolling out android 4.1.2 Jelly Bean update for all Xperia 2012 and 2013 handsets. Xperia P LT22i, one of the Xperia NXT series device got it’s Android 4.1.2 Jelly Bean 6.2.A.0.400 firmware in the last week of April. 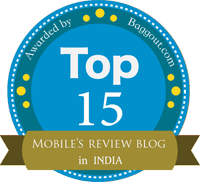 Still Xperia S, Sl and Acro S awaits for it. 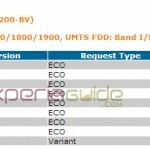 Let’s not go off topic and now will let you know how to Update Xperia P LT22i to Android 4.1.2 Jelly Bean 6.2.A.0.400 firmware officially via PC Companion and Sony Update Service (SUS) or via flashing ftf file. 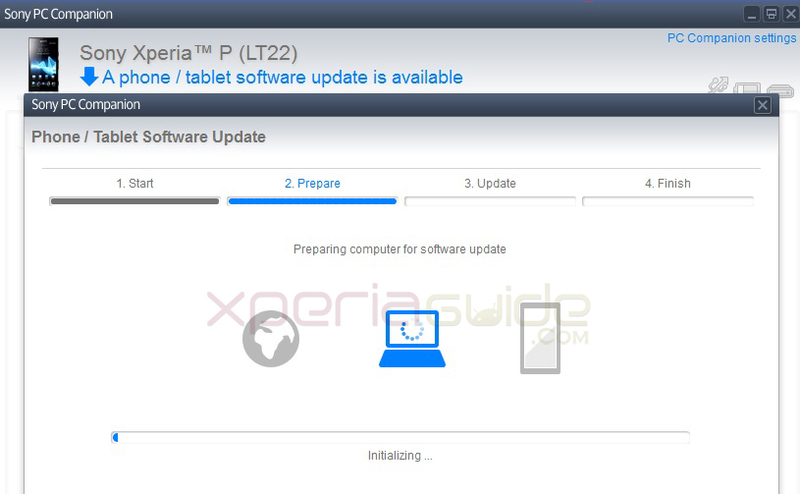 Now let’s update our Xperia P.
How to Update Xperia P LT22i to Android 4.1.2 Jelly Bean 6.2.A.0.400 firmware ? 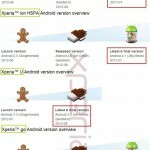 At present your Xperia P LT22i should be on Android 4.0. ICS firmware build 6.1.1.B.1.75, we will now update it to latest Android 4.1.2 Jelly Bean firmware build number 6.2.A.0.400. 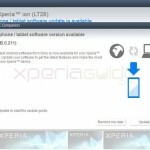 We have listed three methods to update your Xperia P, via PC Companion, via Sony Update Service (SUS) and via OTA method. 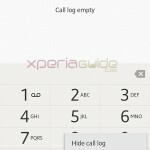 Back up data on your Xperia P via PC Companion for safety. 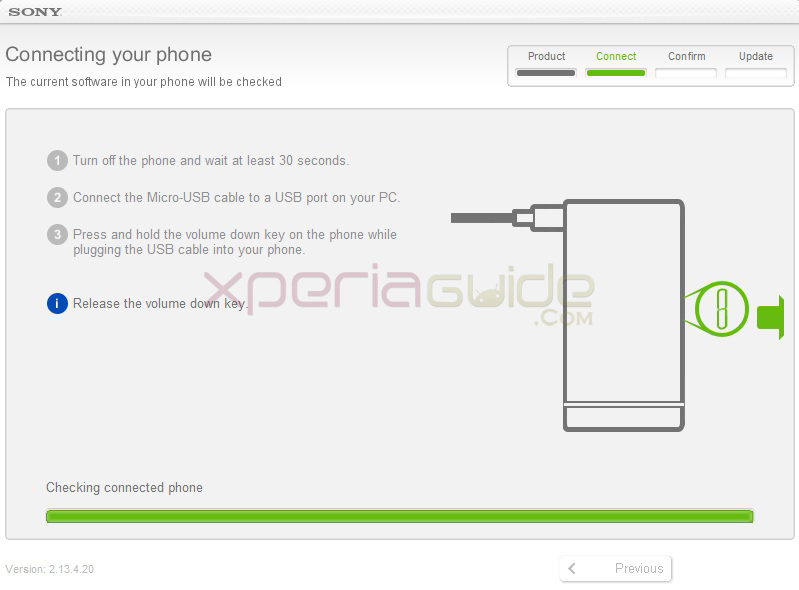 Connect your Xperia P LT22i to you PC via it’s USB cable. Open PC Companion. Let PC Companion detect your phone automatically. 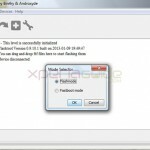 If you have not installed PC Companion on your PC, install it from given below link. Install PC companion from above link if you don’t have it. May be after installing, it asks you to update to PC Companion version 2.1.0.155 in case because we have this latest version installed on our system as shown below. 1 – Now as you have installed PC Companion, it should have detected your phone and you must see a update notification for your Xperia P LT22i just like shown below. Notification as “A Phone / Tablet software update available (6.2.A.0.400). 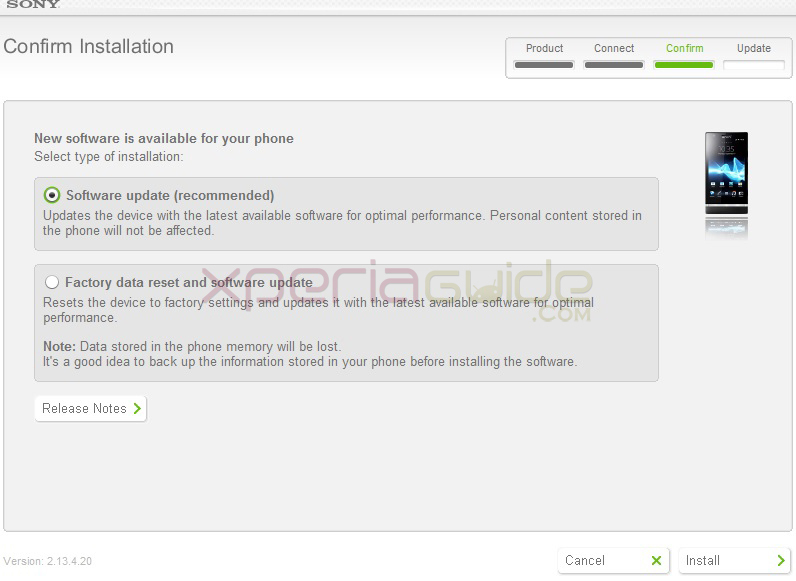 2 – Click on “Update” option and proceed further to update your Xperia P.
3 – Start the procedure, by clicking on “Accept” option after verifying the firmware info as shown below. 4 – Now PC Companion will ready your system for the 6.2.A.0.400 firmware update on your Xperia P. It will download the android 4.1.2 jelly bean package and will update your phone as shown below. 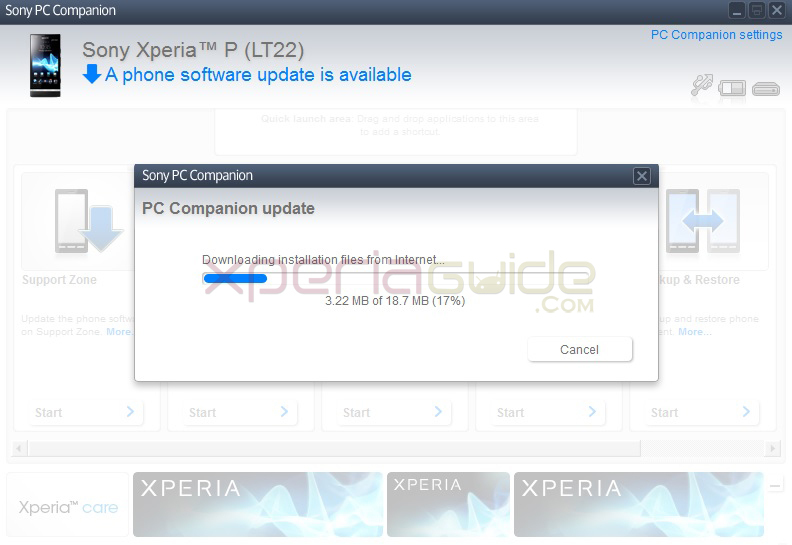 5 – As soon the downloading is finished, PC Companion will apply Android 4.1.2 Jelly Bean 6.2.A.0.400 firmware update to your Xperia P and the process completion will be shown in the above shown dialog box. 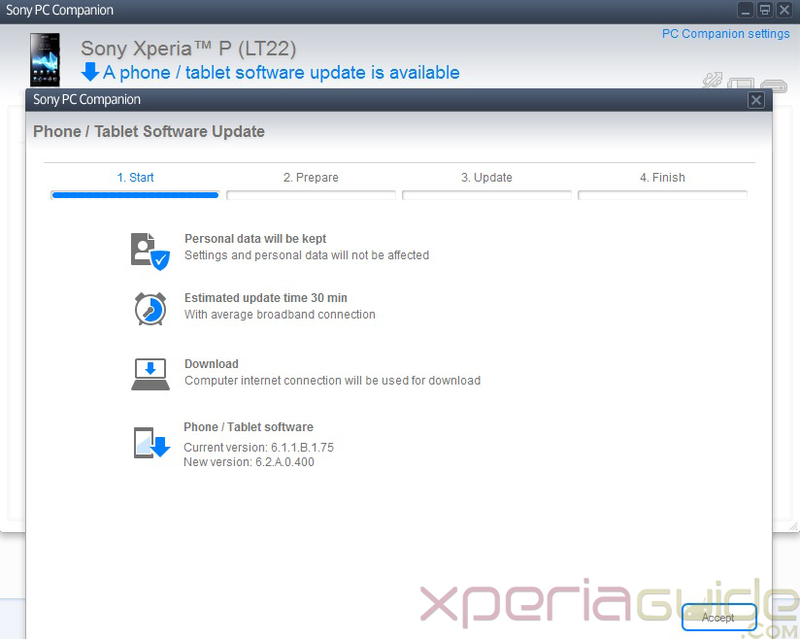 Now after connecting your Xperia P to PC Companion it don’t show any notification for Android 4.1.2 Jelly Bean 6.2.A.0.400 firmware update then you can update your phone via Sony Update Service also. Let see how you can do that. Now after downloading the SUS, open it and install it on your PC. 1 – Open SUS. Switch off your Xperia P. Now after waiting for 30 seconds, connect the USB cable to your PC and now pressing “Volume Down” button connect USB’s other half to your Xperia P (Flashing key for Xperia P). As soon as your phone is connected you will see “Green” light blinking in the notification LED i.e. is called booting into Flash Mode. SUS will now check the connected phone and will show you up as a notification as shown below. 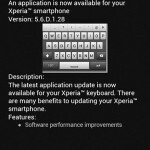 2- Now as soon as your Xperia P is detected by SUS, you will see a software update notification just like below. 3 – Now check the “Software update (recommended)” option and click “Install” option to proceed with 6.2.A.0.400 firmware update via SUS. 4 – Now SUS will download the 6.2.A.0.400 firmware update file which is of whooping 581.8 MB size, just sit back and relax to let it finish. 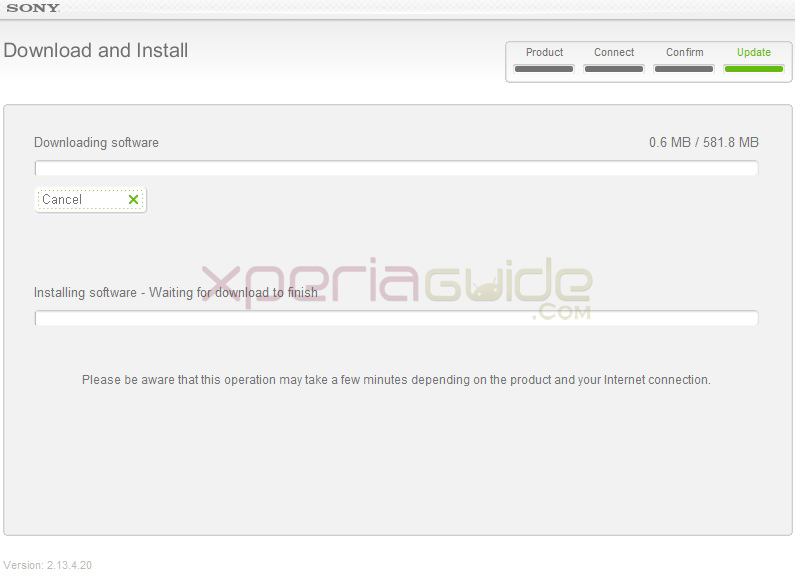 5 – As soon as downloading is finished, SUS will apply 6.2.A.0.400 firmware update on your Xperia P.
Switch on your phone after installation is finished, first reboot is generally slow. 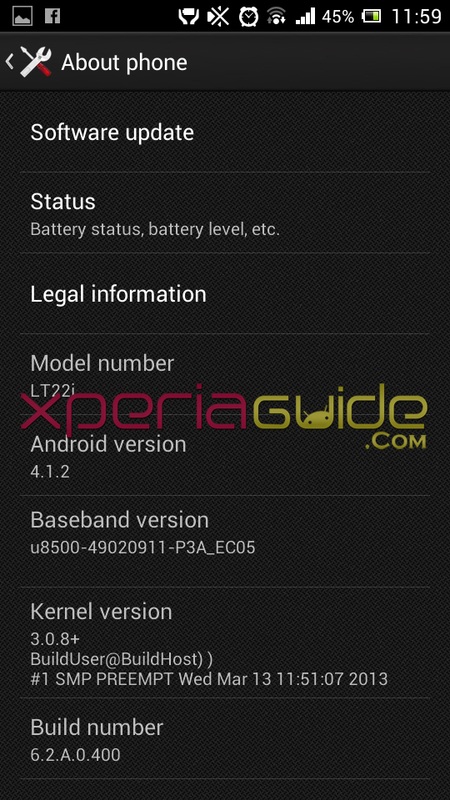 Update Xperia P LT22i to Android 4.1.2 Jelly Bean 6.2.A.0.400 firmware via OTA Method. Well let us tell you Xperia P 6.2.A.0.400 update is also available Over The Air and you can install it in your Phone alone via Wi-Fi (recommended). We recommend you have high speed Internet connection like 3G or a high bandwidth Wi-Fi connection. 1 – Go to “Update Center” app in your phone. 2 – You must see an update notification there, or check it manually under “system update” option. You will be shown a notification then, proceed with the 6.2.A.0.400 update. The good thing about updating Xperia P via OTA method, is that it is only 315.6 MB update. 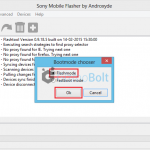 If you are facing trouble in updating your Xperia P via official methods listed above then you can manually update your Xperia P by flashing ftf file. 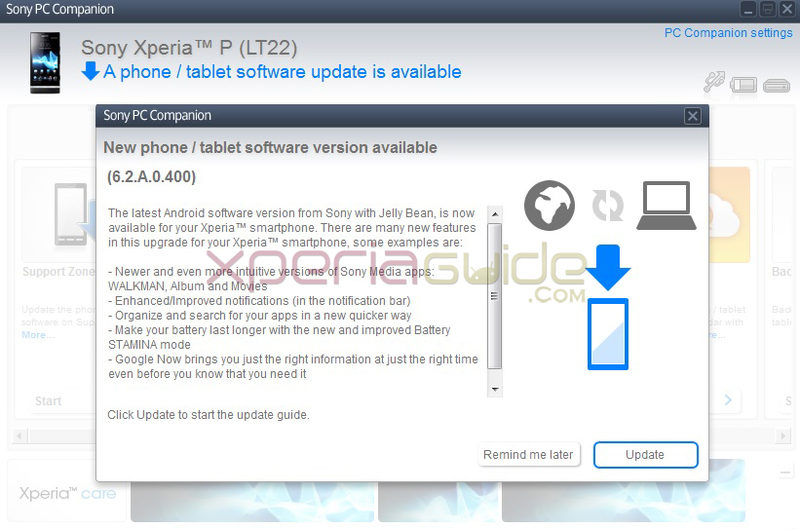 GUIDE :- How to Update Manually Xperia P LT22i by Flashing Jelly Bean 6.2.A.0.400 firmware LT22_6.2.A.0.400_World Generic.ftf file ? If you face any trouble in updating your Xperia P to Jelly Bean 6.2.A.0.400 firmware do let us know in comment section, we will gladly help you. hey , my PC companion is not showing any update for my xperia P . its saying its already up to date . and there are neither any notifications in the update center , i live in Pakistan. Please guide . Well please let me know by going into “about me” phone settings on which version you are already and if you are still on “ICS 4.0.4”, then may be Sony has not rolled out yet Jelly Bean in Pakistan, update is region dependent. Well no issues, do check for the update via Sony Update Service option by connecting your phone to it. 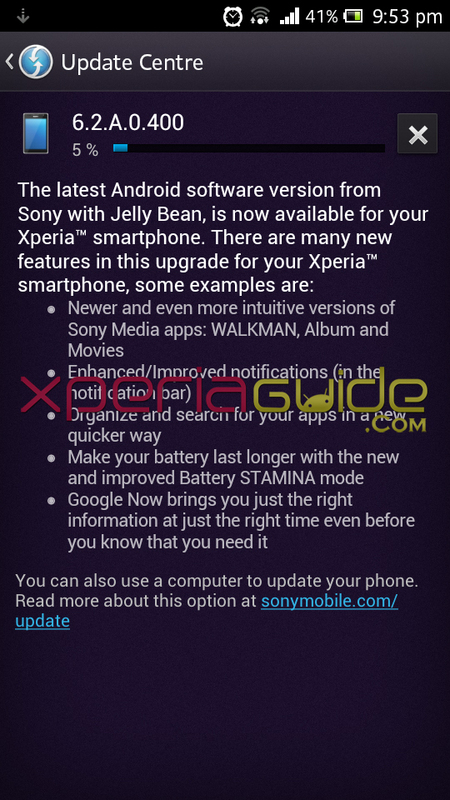 If you still don’t get any update then we suggest you to manuall Update Manually Xperia P Flashing Jelly Bean 6.2.A.0.400 firmware ftf. i got problem with step 3. i already hold the down key while connected the usb but nothing happen. i did this about 3 times but it doesn’t work. pls help. now connect the usb port on pc and press volume down button and insert port in your phone…hold down volume button till green light blinks and phone is getting connecting on SUS. Hi, I am interested in updating to JB and would not mind doing it manually, as no updates on PC companion or OTA are available here (Sudan). However, we have sanctions on the country and I cant use google play and download apps. Can the backups I make on PC companion be restored into the phone after the JB update? Thanks!! Please let us know your phone model Xperia Z C650X ? which version ? Which firmware build update notification you got ? Well don’t panic…do let us know your firmware and phone model, we will get you a ftf file, flash it and then check it. Yes we do experinced this issue on our XP also…IT can’t be corrected, it’s Sony server’s issue…You better update your XP via PC Companion or SUS. Yes you can downgrade your software to ICS no issues in that. Just flash the ftf of Android 4.0.4 ICS on XP. All done. I read many comments about jelly bean on xperia p, mosto f comments forcing me to remain on ics. 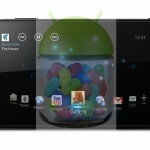 according to these comments there are many bugs on jelly bean. suggest me do i update it to jelly bean or not? After when i am installed new version, in albums folder it showing blank even when there is some photos. Even i deleted cache in setting>apps>album. it can be some software issue, try rebooting ( i guess you already did ) if problem still persists then do a factory reset ( wipe only settings not data ) and now check is problem still there…and report back. my phone won’t connect to mobile data after flashing !! that’s the bug from Sony…Factory reset may solve your issue try it but backup first. My Xperia software version cant Update to the latest version even after following and complete all the steps for Updating of the same. Firstly i tried using the Handset Update Center Application and i was able to download the whole 398 MB file but nothing happened. I ‘ve recently tried via PC Companion and completed all the steps successifully but i also dont see the difference. Hey, I’ve bought xperia p few days ago. It was upgraded to 4.1.2 from the sony store. But i’m facing a problem. My phone restarts automatically many times a day. Is it an upgrading problem or other? plese inform and tell me what will i do. Thanks. it seems software issue…try re-installing your latest firmware again…if it still happens, device issue it is. visit near sony service center. I’ve been trying for almost a month now and i really wanna see the update already. Please help! I have sony xperia p with ice cream sandwitch software version, in update software tab its showing me 6.1.1.B.1.75 version I tried to update this version before using windows xp service pack 2 bt it didnt gt updated. N even i cant find OTA option for this update. please my sony xperia z2 tablet has refused to upgrade to 4.4.4, always telling me up to date, when its still in 4.4.2.
will I have any problem if I refuse to? why my phon show your system has stopped working after uograding? ?